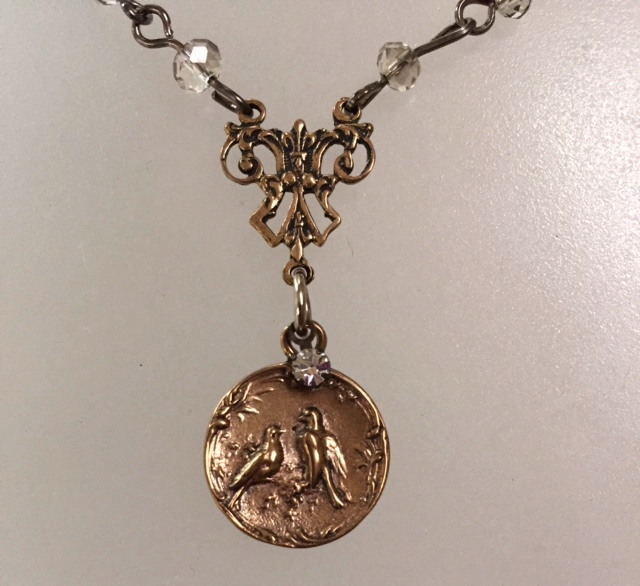 A Stunning combination of Two Bronze French charms, a Delicate filigree embellished wuth 2 Fleur de Lis (the French symbol of royalty) and two Doves I discovered in Paris. 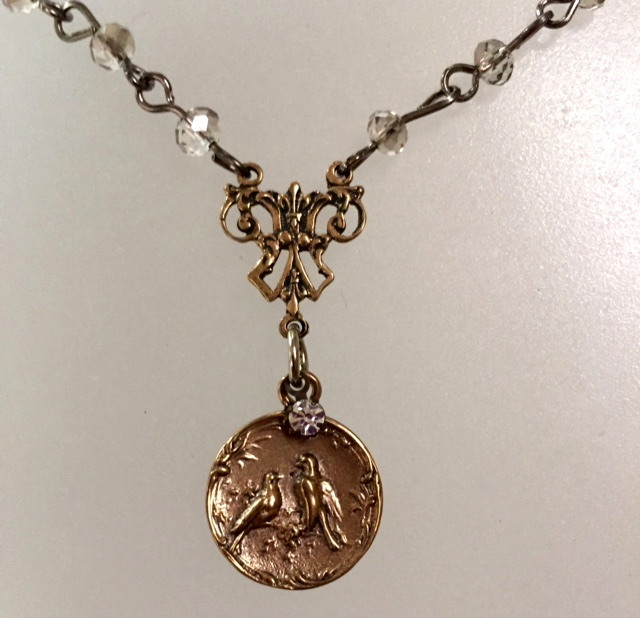 They are suspended on delicate Silver Crystals. I added a petire Rhinestone for a bit of sparkle!